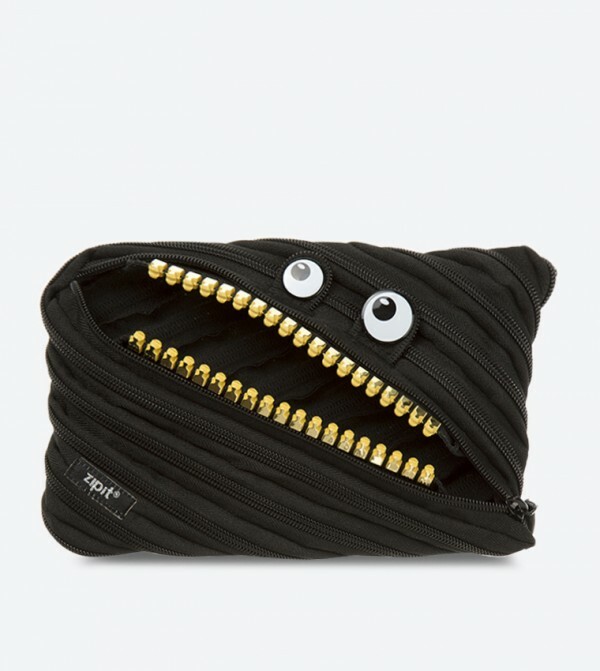 Playful and fun, with bright eyes and white teeth, this monster pencil case will make you smile and forever change the way you look at school supplies. Zipit patented design features a continuous zipper that can be fully zipped or unzipped. Use it as cosmetic makeup bag, cell phone bag or money bag. This big pencil case is carefully made using sturdy, durable polyester fabric so its made to last.